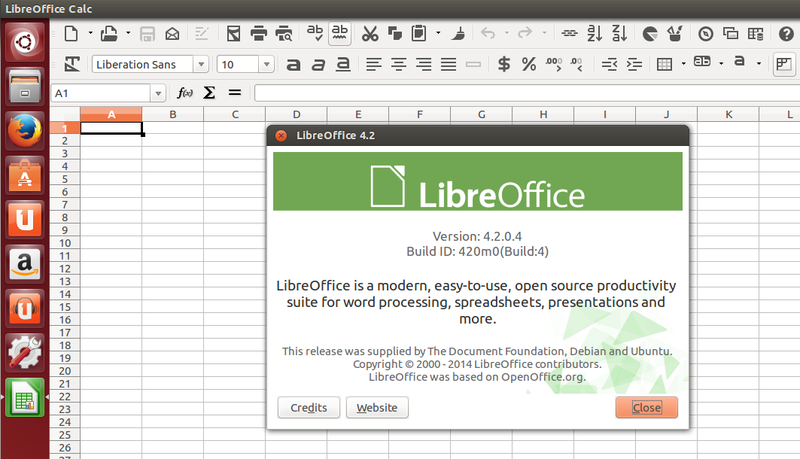 LibreOffice 4.2, the recently released major update to the default Ubuntu office suite, is now available in its main official PPA, for Ubuntu 13.10 and 12.04. Below you'll find instructions on how to upgrade to this new version using the PPA. The new version brings better interoperability with Microsoft OOXML, a new monochrome icon set (not enabled by default), GNOME 3 Application Menu integration and more. For more information about LibreOffice 4.2, see THIS. In other LibreOffice news, The Document Foundation released LibreOffice Impress Remote for iPhone/iPad in the iTunes Store today. Check out the official release announcement for more information. Before proceeding, please note that the packages in the LibreOffice PPA have only experienced minor testing. According to the PPA description, this isn't for the average user so only use this PPA if you know how to use ppa-purge to revert the changes in case something doesn't work as expected. However, "it is way better to use packages from this PPA than using the *.deb files that The Document Foundation provides upstream", mentions the PPA description. Important: when running "dist-upgrade", make sure it doesn't remove some important system packages! That's it. For how to enable the new icon theme, see THIS article.